Thank you for your interest in becoming a Driver with Calex IScs. Please complete the form below and a representative from our recruiting dept will be in touch with you shortly. I authorize you to make such investigations and inquiries of my personal, employment, financial, or medical history and other related matters as may be necessary in arriving at an employment decision. (Generally, inquiries regarding medical history will be made only if and after a conditional offer of employment has been extended.) I hereby release employers, schools, health care providers, and other persons from all liability in responding to inquiries and releasing information in connection with my application. How much experience do you have in years? Have you worked for Payroll & Benefits Admin, Inc in the past? If yes, please explain below. Conviction of a crime is not an automatic bar to employment. All circumstances will be considered. Is there any reason you might be unable to perform functions of the job for which you have applied? If yes, please explain below. 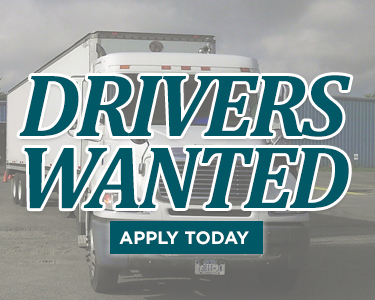 All driver applicants to drive in interstate commerce must provide the following information on all employers during the preceding 3 years from the date this application is submitted. List complete mailing address, street number, city, state, and zip code. Applicants to drive a commercial motor vehicle in intrastate or interstate commerce shall also provide an additional 7 years information on those employers for whom the applicant operated such vehicle. List all accidents for the past 3 years. If none, write none. Traffic convictions and forfeitures for the past 3 years (Other than parking violations) If none, write none. Driver licenses or permits held in the past 3 years. List State, license number, class, endorsement, and expiration date. Do you have any special courses or training that will help you as a driver? If yes explain. Do you hold any safe driving awards? If yes list award name and organization that issued award. List special equipment or technical materials you can work with (Other than those already listed). Name of school where highest form of education completed/attended. The prospective employee is required by Sec. 40.25(j) to respond to the following questions. 1. Have you tested positive, or refused to test, on any pre-employment drug or alcohol test administered by an employer to which you applied for, but did nto obtain, safety-sensitive transportation work covered by DOT agency drug and alcohol testing rules during the past two years? 2. If you answered yes, can you provide/obtain proof that you've successfully completed the DOT return-to-duty requirements? In compliance with §40.25(g) and 391.23(h), release of this information must be made in a written form that ensures confidentiality, such as fax, email, or letter. List all previous employer names, addresses, contact phone numbers, contact fax numbers, and contact emails. Payroll & Benefits Admin, Inc may request, for lawful employment purposes, background information about you from a consumer reporting agency in connection with your employment or application for employment (including independent contractor assignments, as applicable). This background information may be obtained int he form of consumer reports and/or investigative consumer reports (commonly known as "background reports"). These background reports may be obtained at any time after receipt of your authorization and, if you are hired or engaged by the Company, throughout your employment or your contract period. HireRight, Inc., or another consumer reporting agency, will prepare or assemble the background reports for the Company. HireRight, Inc. is located and can be contacted by mail at 5151 California, Irvine, CA 92617, and HireRight can be contacted by phone at (800) 400-2761. Information about HireRight's privacy practices is available at wwww.hireright.com/Privacy-Policy.aspx . The background report may contain information concerning your character, general reputation, personal characteristics, mode of living, and credit standing. The types of information that may be obtained may include, but are not limited to: social security number verification; address history; credit reports and history; criminal records and history; public court records; driving records; accident history; worker's compensation claims; bankruptcy filings; educational history verification (e.g., dates of attendance, degrees obtained); employment history verification (e.g., dates of employment, salary information, reasons for termination, etc); personal and professional references checks; professional licensing and certification checks, drug/alcohol testing results, and drug/alcohol history in violation of law and/or company policy; and other information bearing on your character, general reputation, personal characteristics, mode of living, and credit standing. This information may be obtained from private and public record sources, including, as appropriate: government agencies and courthouses; education institutions; former employers; personal interview with sources such as neighbors, friends, and associates; and other information sources. If the Company should obtain information bearing on your credit worthiness, credit standing or credit capacity for reasons other that as required by law, then the Company will use such credit information to evaluate whether you would present an unacceptable risk of theft or other dishonest behavior in then job for which you are evaluated. You may request more information about the nature and scope of any investigative consumer reports by contacting the Company. A summary of your rights under the Fair Credit Reporting Act is also being provided to you. CALIFORNIA: Pursuant to section 1786.22 of the California Civil Code, you may view the file maintained on you by HireRight during normal business hours. You may also obtain a copy of this file, upon submitting proper identification and paying the costs of duplication services, by appearing at HireRight's offices in person, during normal business hours and on reasonable notice, or by certified mail. You may also receive a summary of the file by telephone, upon submitting proper identification and written request. HireRight has trained personnel available to explain your file to you, including any coded information, and will provide a written explanation of any coded information contained in your file. If you appear in person, you may be accompanied by one other person, provided that person furnishes proper identification. "Proper identification" includes documents such as a valid driver's license, social security account number, military identification card, and credit cards. If you cannot identify yourself with such information, HireRight may require additional information concerning your employment and personal or family history to verify your identity. MAINE:You have the right, upon request, to be informed of whether an investigative consumer report was requested, and if one was requested, the name and address of the consumer reporting agency furnishing the report. You may request and receive from the Company, within five business days of our receipt of your request, the name, address, and telephone number of the nearest unit designated to handle inquiries for the consumer reporting agency issuing an investigative consumer report concerning you. You also have the right, under Maine law, to request and promptly receive from all such agencies copies of any such reports. MASSACHUSETTS: If we request an investigative consumer report, you have the right, upon written request, to a copy of the report. NEW YORK: You have the right, upon request, to be informed of whether or not an investigative consumer report was requested. If an investigative consumer report is requested, you will be provided with the name and address of the consumer reporting agency furnishing the report. You may inspect and receive a copy of the report by contacting that agency. Below is additional information about New York law. WASHINGTON STATE: If the Company requests an investigative consumer report, you have the right upon written request made within a reasonable period of tie after your receipt of this disclosure, to receive from the Company a complete and accurate disclosure of the nature and scope of the investigation requested by the Company. You also have the right to request from the consumer reporting agency a written summary of your rights and remedies under the Washington Fair Credit Reporting Act. I have carefully read and understand this Disclosure and Authorization form and the attached summary of rights under the Fair Credit Reporting Act. By my signature below, I consent to preparation of background reports by a consumer reporting agency such as HireRight Inc., and t the release of such background reports to the Company and its designated representatives and agents, for the purpose of assisting the Company in making a determination as to my eligibility for employment (including independent contractor assignments, as applicable), promotion, retention or for other lawful employment purposes. I understand that if the Company hires me or contracts for my services, my consent will apply, and the Company may obtain background reports throughout my employment or contract period. I understand that information contained in my employment or contractor application, or otherwise disclosed by me before or during my employment or contract assignment, if any, may be used for the purpose of obtaining and evaluating background reports on my. I also understand that nothing herein shall be construed as an offer of employment or contract for services. By my signature below, I also certify the information I provided on and in connection with this form is true, accurate and complete. I agree that this form in original faxed, photocopied or electronic (including electronically signed) form, will be valid for any background reports that may be requested by or on behalf of the Company. California, Minnesota or Oklahoma applicants only: Please choose yes below if you would like to receive (whenever you have such right under the applicable state law) a copy of your background report if one is obtained on you by the Company. In connection with your application for employment with Payroll & Benefits Admin, Inc ("Prospective Employer"), Prospective Employer, its employees, agents, or contractors may obtain one or more reports regarding your driving, and safety inspection history from the Federal Motor Carrier safety Administration (FMCSA). When the application for employment is submitted in person, of the Prospective Employer uses any information it obtains from FMCSA in a decision to not hire you or to make any other adverse employment decision regarding you, the Prospective Employer will provide you with a copy of the report upon which its decision was based and a written summary of your rights under the Fair Credit Reporting Act before taking any final adverse action. If any final adverse action is taken against you based upon your driving history or safety report, the Prospective Employer will notify you that the action has been taken and that the actin was based in part or in whole on this report. When the application for employment is submitted by mail, telephone, computer, or similar means, if the Prospective Employer uses any information it obtains from FMCSA in a decision to not hire you or to make any other adverse employment decision regarding you, the Prospective Employer must provide you within three business days of taking adverse action oral, written, or electronic notification: that adverse action has been taken based in whole or in part on information obtained from FMCSA: the name, address, and the toll free telephone number of FMCSA; that the FMCSA did not make the decision to take the adverse action and is unable to provide you the specific reasons why the adverse action was taken; and that you may, upon providing proper identification, request a free copy of the report and may dispute with the FMCSA the accuracy or completeness of any information or report. If you request a copy of a driver record from the Prospective Employer who procured the report, then, within 3 business days of receiving your request, together with proper identification, the Prospective Employer must send or provide to you a copy of your report and a summary of your rights under the Fair Credit Reporting Act. Neither the Prospective Employer nor the FMCSA contractor supplying the crash and safety information has the capability to correct any safety data that appears to be incorrect. You may challenge the accuracy of the data by submitting a request to https://dataqs.fmcsa.dot.gov . If you challenge crash or inspection information reported by a State, FMCSA cannot change or correct this data. Your request will be forwarded by the DataQs system to the appropriate State for adjudication. Any crash or inspection in which you were involved will display on your PSP report. Since the PSP report does not report, or assign, or imply fault, it will include all Commercial Motor Vehicle (CMV) crashes where you were a driver or co-driver and where those crashes were reported to FMCSA, regardless of fault. Similarly, all inspection, with or without violations, appear on the PSP report. State citations associated with Federal Motor Carrier Safety Regulations (FMCSR) violations that have been adjudicated by a court of law will also appear, and remain, on a PSP report. I authorize Payroll & Benefits Admin, Inc, ("Prospective Employer") to access the FMCSA Pre-Employment Screening Program (PSP) system to seek information regarding my commercial driving safety record and information regarding my safety inspection history. I understand that I am authorizing the release of safety performance information including crash data from the previous five (5) years and inspection history from the previous three (3) years. I understand and acknowledge that this release of information may assist the Prospective Employer to make a determination regarding my suitability as an employee. I further understand that neither the Prospective Employer not the FMCSA contractor supplying the crash and safety information has the capability to correct any safety data that appears to be incorrect. I understand I may challenge the accuracy of the data by submitting a request to htt[s://dataqs.fmcsa.dot.gov . If I challenge crash or inspection information reported by a State, FMCSA cannot change or correct this data. I understand my request will be forwarded by the DataQs system to the appropriate State for adjudication. NOTICE: This form is made available to monthly account holders by NIC on behalf of the U.S. Department of Transportation, Federal Motor Carrier safety Administration (FMCSA). Account holders are required by federal law to obtain an Applicant's written or electronic consent prior to accessing the Applicant's PSP report. Further, account holders are required by FMCSA to use the language contained in this Disclosure and Authorization for to obtain an Applicant's consent. The language must be used in whole, exactly as provided. Further, the language on this form must exists one stand-alone document. The language may NOT be included with other consent forms or any other language. NOTICE: The prospective employment concept referenced in this form contemplates the definition of "employee" contained at 49 C.F.R. 383.5. The below signature certifies that this application was completed by me, and that all entries on it and information in it are true to the best of my knowledge and that I accept the terms and conditions stated above.